Most people struggle with creativity at times and I am definitely one of those people. When I feel life is a bit hectic with other goings on (moving, Christmas, getting sick) I really do struggle to feel inspired or sit down and make something. So I was really pleased to find this infographic with 29 Ways to Stay Creative. How do you kick-start your creativity if you are struggling? A few offline friends have asked me how my "Thirty Before Thirty" challenge has been going as I have not updated here much, life seems to get in the way of blogging and that is something I plan to rectify this year. The last update I posted about my challenge was back in August when I turned the big 3-0. I decided that turning thirty was a time for reflection but also a time to take some pressure off and so my challenge became a "within my 30th year" challenge. 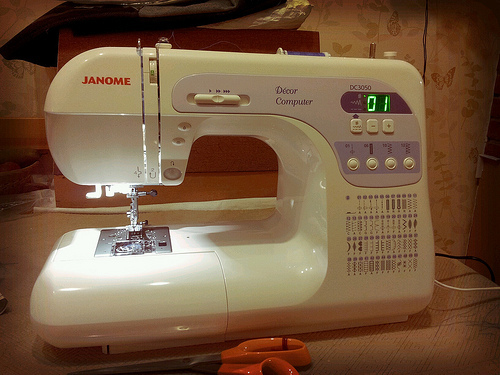 Own a sewing machine - DONE!!!!! I treat myself to a beautiful Janome DC3050 as you can see here, I love it and sewed a few Christmas presents with it. Learn to knit socks - um, not yet. Visit Buckingham Palace - DONE! Swim in a lake or stand under a waterfall - I am off to Scotland over Easter, maybe then! Own a home (the BIG challenge) - well, I havent bought a home yet, but I have moved my life to Cambridge and in with my amazing boyfriend in to his lovely flat. I love my "home 2" and we are slowly beginning to talk of plans for buying a house in the Cambridge area next year. Be debt free except from a mortgage if Num 5 happens - working on it. Visit Dickens House - DONE! Go to a soap making workshop - DONE! and we you may know, I now also sell my lovely handmade soap. 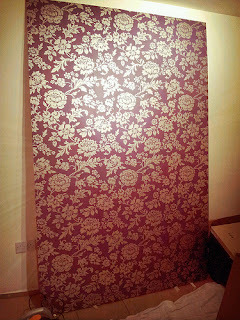 Learn to hang wall paper - DONE! When I moved, we built a craft storage zone and I wanted a pretty backing paper so I wallpapered some wood, ok so its not exactly hanging wallpaper but it was a start. Spend a night on the Norfolk Broads - DONE! (sort of) Two holidays to Norfolk and not spent the night on a boat, but have been in the Broads. Learn to make pastry - DONE! - When I had the flu in January I was off work and forced myself to do this so I made some homemade pasties and pies. Learn the succession of kings and queens from William the Conqueror in 1066 - not yet. Make and wear my own dress - not yet, but I am improving my sewing skills a lot. Have a make up lesson - DONE! and I have fallen in love with Bobbi Brown make up. Do something every day to make me smile - DONE - I just have to look at my boyfriend and I smile inside and out at how lucky I am. Learn to change a car tyre - hmmmm. Be able to jog a mile with out stopping - with my leg issues this is a BIG thing - I have now quit the gym because I could not justify the money I was spending. Fitness improvement is a big aim for me this year. Go to Rome or Sorrento - DONE! - a trip to Rome back in 2011. Sleep for 6.5+ hours sleep a night consistently - I'm getting about 6hrs on average now, this still needs to improve. Visit Giant's Causeway - Hoping to go in August this year. Have a dinner party - DONE!!! 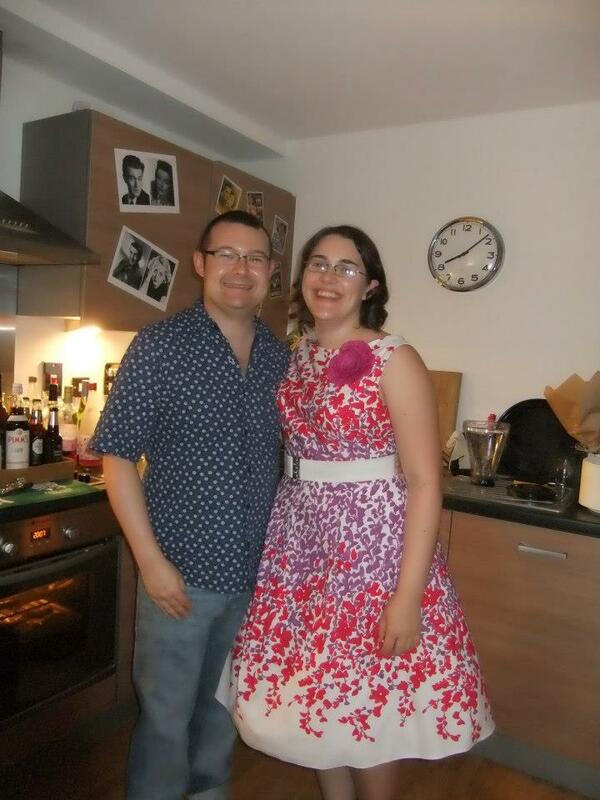 Not only dinner parties but my 30th birthday party was quite a challenge, '50s themed and making all of the food. Have Butterfly-Crafts mentioned in a newspaper or magazine - DONE!!! 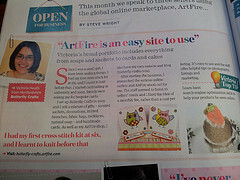 I am so pleased to have been in our local paper and also Craft Seller magazine a few times. Sleep under the stars - not yet, but in the hope there will be a nice hot summer, I can sleep out on my decking. Live as much of a handmade/homemade/economical life as possible - I made a lot of my Christmas gifts for 2012 and this year have a challenge to make as many of my gifts as I need as possible and I will blog about them too. Begin to have the stamina, strength & body shape from pre-leg issues - this isn't really tangible is it now, but see #18. Watch: Goodfellas, Casablanca, Dr Zhivago, Gone With the Wind, The Philadephia Story, A Street Car Named Desire, Ferri Beulers Day Off, Schindler's List, The Godfather and Citizen Cane - I still have Goodfellas and Schindler's List to go. I have borrowed the latter from a friend to watch soon. Go to a comedy club - we had hoped to do this in NYC but it didn't happen, hopefully will soon though. Finish my knitted patchwork blanket - I haven't knitted in a while but our trip to Scotland is for rest and relaxation and so my blanket will come with me to work on. I think I have 8 squares out of 91 knitted! Visit 15 exhibitions at museums and galleries - I have lost count the number of exhibitions I have been too but I should really see more whilst I am working in London to make the most of having them on my doorstep. Although I may not blog too frequently, I have created a Flickr Album for my "Thirtieth Year" in which I have been taking a photo a day for this year and have been writing a little about it. in which I have been taking a photo a day for this year and have been writing a little about it. Check out my Flickr profile to see the album.